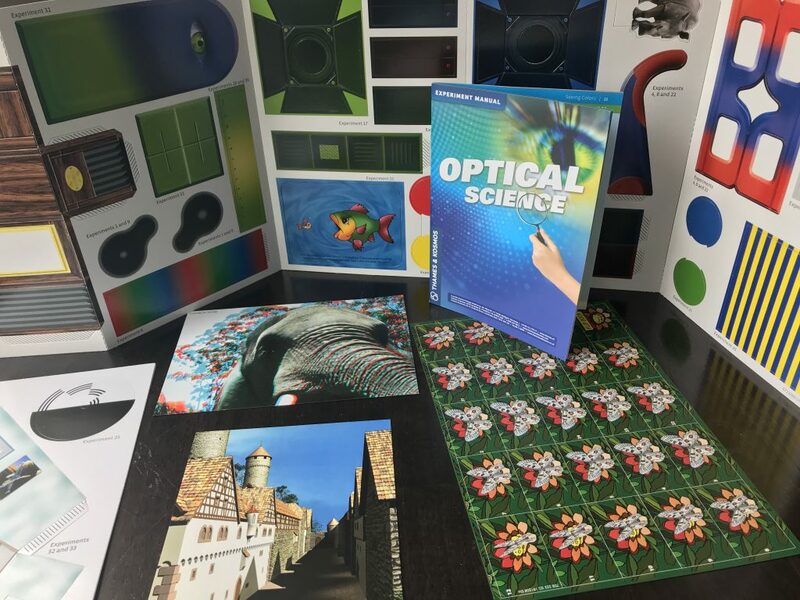 Thames & Kosmos Optical Science is a kit that allows you to explore human perception and the physics of light. 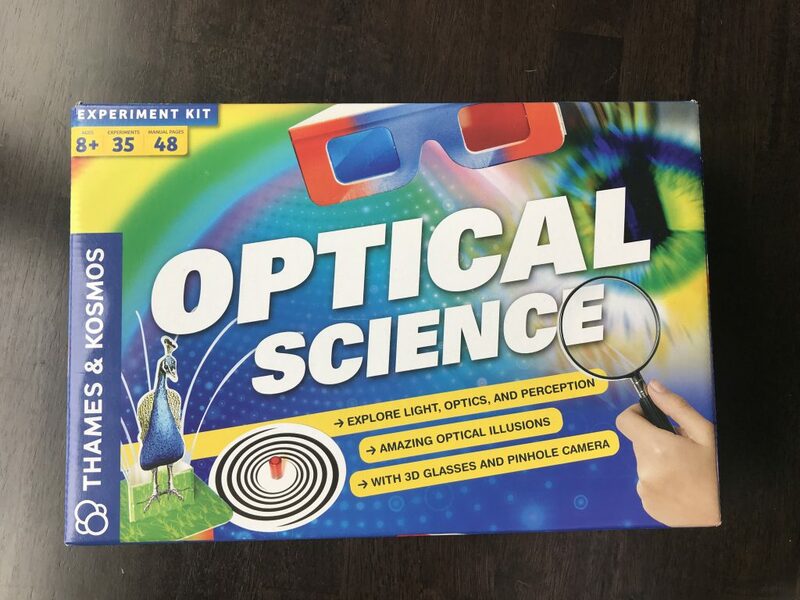 Experiment with light and the color spectrum by building various objects such as a color wheel, a fiber optic peacock, and diffraction glasses. Recommend for ages 8 and up. Learn the similarities and differences between the eye and a camera. Build a camera obscura and pinhole glasses. Investigate lenses and light refraction. View optical illusions involving shapes, color, depth, and scale. Make a curved line look straight. Learn how your eye and brain work together to perceive color, light, depth, perspective, size, shape, and motion. 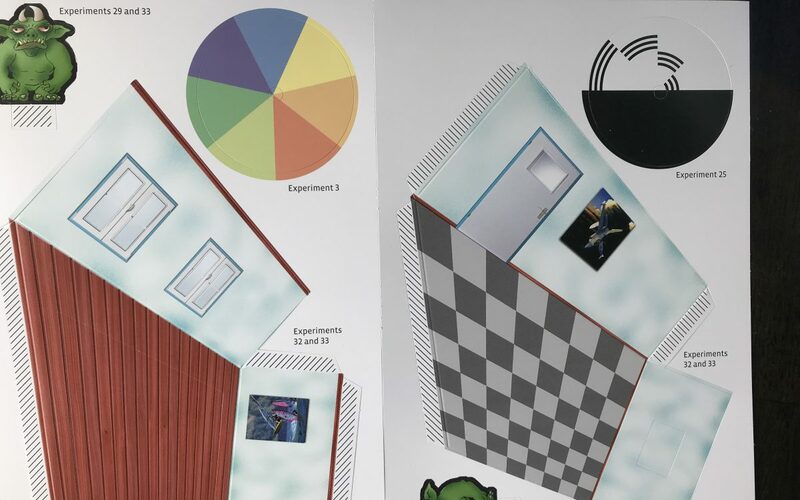 The kit includes a 48-page manual to guide you through conducting over 35 experiments. This is a great item for any child interested in physics. Recommended for ages 8 and up.